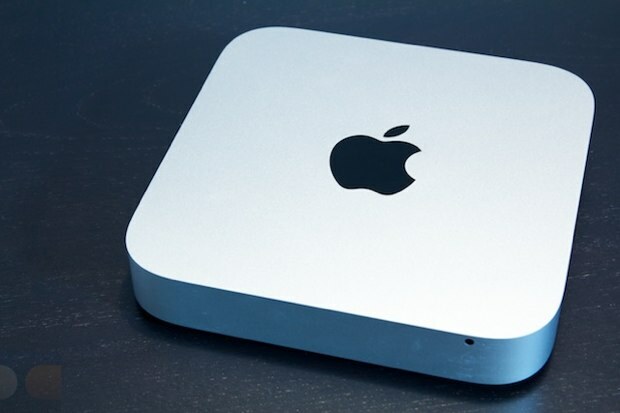 The Mac mini mid-2011 will suffice for most Mac users equipped with a good core i5, they prove to be particularly powerful, yet efficient and silent. However, they fish with Hitachi drives anemic, and an endowment of RAM just petty. Apple is more expensive to pay particular options: the entry-level model, you will pay € 150 for 250 GB of disk with more equally slow, € 100 for double the RAM while two strips of 2 GB worth thirty euros. The mid-range model reaches € 1 000 if you upgrade to 8GB of RAM. Worse, Apple persists in the pettiness by not proposing to install a second drive in the entry-level model, while it is quite capable of hosting and it offers this option on the mid-range model. One major difference between the Mac mini 2010 and 2011 is indeed that all 2011 models (including the "server", comes with two disks as standard) have the same motherboard and can accommodate two discs. Officially more RAM, the Mac mini 2011 only supports 8 GB of RAM - in fact, it supports up to 16GB of RAM PC-10600 DDR3 SO-DIMM 204-pin 1 333 MHz. The strips of 8 GB of this type, however, remain scarce and expensive. 16 GB kit (2 x 8 GB): 199 €. HDD / SSD Every Mac mini can hold two discs. If you want to add a second disk, you will need the appropriate SATA tablecloth. Unfortunately, their availability is often limited. at iFixit: about 75 € including postage with a handy kit disassembly. to increase capacity and speed, the Seagate Momentus XT Hybrid 750 GB 7200 RPM, we particularly recommend: € 189.90. The choice of an SSD will depend on your use: Will it drive system, supported by a standard hard drive for data (in which case you choose a model cramped but efficient), or will it drive primary (in which case you should choose a slightly less narrow)? We chose, for the purpose of this step-by-step, replacing the original HDD with a SSD of 256 GB in a Mac mini mid-2011 entry-level, and pass it to 4 GB RAM. An operation which costs € 399 ... and a little elbow grease.